When I used to live in Abu Dhabi, three friends and I would arrange a Scrabble night once a week . We had decided that the host would only make a salad to avoid adding any extra work and also for us to eat less. Since we used to rotate who would host, it quietly became a competition who would make the most delicious salad, each one of us trying to outdo the other. It was a fun time. 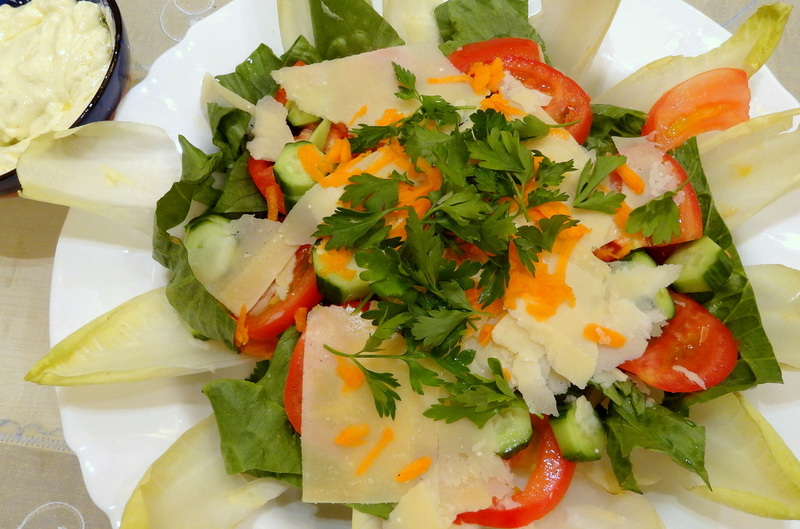 Tonight, I remembered those days while playing Words With Friends with my daughter and decided to make one of my more flavorful salads made with endives, parmesan cheese and dressing made out of cheese also.